It's hell getting old. As I approach the big 3-0, the body just doesn't work like it used to. So while visiting a doctor, I was prescribed a 3 week medication regime. As our meeting wrapped up, he gave me the following advice, "Take them before bedtime. Oh, and no alcohol for three weeks." Despite my gut reaction to shout, "No booze for three weeks!?" I ultimately decided that getting aggravated and indignant over a doctors recommendation to avoid alcohol for three weeks just might not be the most reasonable response. So I said, "no problem" and held my tongue. Now, some people say you can't shop yourself out of problems, but for me this wasn't the case. 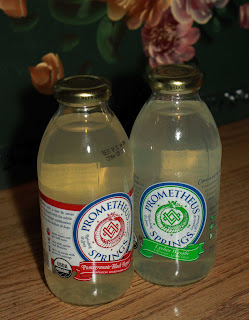 Going to Wegman's I found all kinds of really cool, unique soft drinks, juices, and fermented kombucha and kefir drinks on the market. From boutique sodas to odd Korean aloe juice beverages, I discovered a lot of "new" products that I never would have come across staying in the beer aisle. 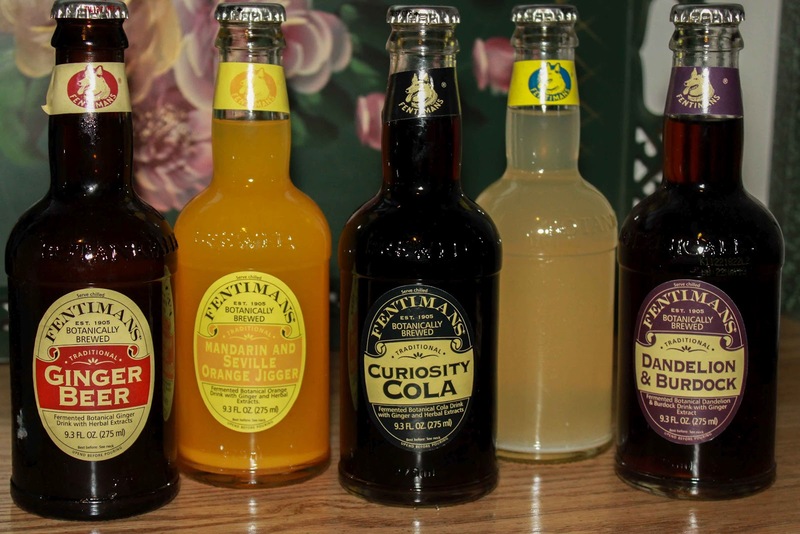 After several samples my favorite soft drink line is the Fentiman's Botanically Brewed Beverage line of sodas, especially their dandelion and burdock root soda. Apparently it's a classic British flavor, as my boss (from Blackpool, outside Manchester) practically swooned over the soda, saying as a boy he would drink dandelion and burdock root soda like we drink Coke or Pepsi. Honestly, finding alternate beverages has become a fun challenge for me. Growing up, my Dad would reminisce about how he used to sneak down to the basement with his Dad and they'd drink homemade (soft) root beer. I could tell it was a cherished memory for him. He spoke about how they'd do it in secret, making a bit of a game of not letting my Grandma know they were sneaking about, pilfering soda. It just makes me realize that there's a lot beyond beer and brewing I haven't looked into, aside from the occasional pitcher of ice tea or mint and chamomile. So over the new few posts, I'm going to feature some of my favorite drinks, and also my attempts to recreate them at home. A lot of these sodas, juices, and lemonades are great, but range from $1.99 to $2.99 a bottle. Plus I just want to embrace the challenge of making it myself, ultimately with brewing my own root beer from scratch, using botanical herbs. We have enough burdock root to share (and then some). Come and get it, but bring a serious digging tool! If you get a good kombucha mother going let me know. I tried unsucessfully to culture one from a local unpasteurized bottle last year. I'm not sure what I did wrong, but my guess is that I didn't use enough of the original liquid and the liquid wasn't acidic enough.